QWEEN is the brainchild of three super busy, and super charged mothers, who , after motherhood, bounced back into their careers with more vigor and passion than ever before. What struck them hard was the fact that though they were able to make the transitions smoothly, there were (and still are) thousands of women who do not get a platform where they can explore the possibilities and live up to their true potential. And QWEEN was born to support these women in whatever way possible, encourage and motivate them to be their best always, and never ever look back, just like QWEEN hasn't! I am a full time dreamer and believe one can achieve anything they want in life when committed. Having spent total of 8 years in NY completing BBA at Baruch college and then working at BNP Paribas allowed me to broaden my horizons. Over the last few years I have helped transform family’s real estate business into a corporate. I love traveling, meeting new people and exploring new ideas. Not an avid reader but a strong follower of the book “The Secret” and the secret of my life is “Imagination is everything, what you think you become! Neha Shah is Proud Co-Founder of Qween. 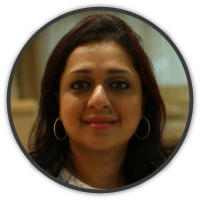 A Trained Teacher for past 25 years, Mona is an enthusiastc QWEEN who sees direct marketing as a great avenue for business as well individual's development. She strongly believes that as mothers, women often tend to put their own development on backseat,not because they lack talent, but because they find themselves short of time. It is this lack of finding time consistently she decided to continue with direct marketing for nearly 2 decades. Through her ventures, she was also able to develop herself as these direct marketing aveneues she explored also provided her many training opportunities from time to time while she also devoted time to raiser her kids. An avid reader, she also wrote articles for a few years for Krupasindhu, a spiritual magazine.She believes that 'God has a mission for every Individual' and feels that its her duty" as a fellow traveller on this planet Earth to do my bit!" 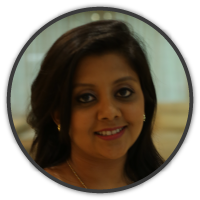 Bulbul started with Qween in 2015 and has been working as content and digital manager ever since. A finance professional with more than 15 years of work experience, she is an avid reader, traveller and loves to spend time with her friends and family. With over 9+ years of experience in different Corporate sectors and with experience in Corporate training and mentoring. Ekjyo is a Career Counselor with Qween. She is also a facilitator who wants to help women to discover/ enhance their potential and evolve as successful professionals. Her objective is to be a guiding light which illumines the path of success for those who approach her with their professional and personal concern using the best of her ability and capacity. Ekjyot is very much happy to empower and motivate every women connected with Qween. An ambivert, bibliophile, compulsive dreamer, movie buff and an observer. My academic appetitte got me a degree in Chemical engineering from Mumbai University and then Masters in Environmental Sciences from Brunel University, London. I also happen to be a certified internal Auditor for four ISO standards. I come with over seven years of multifarious experience in Chemical, Environmental & Human resource sector. I solemnly pleadge by what Robin Williams once said "You are only given a little spark of madness, You mustn't loose it". Having contributed to Different Industries and Powerful Corporate Houses including World bank funded Projects with Govt of Maharashtra as a Youngest joint CEO of the State. Holding a Degree of MBA in ABM from Symbiosis International University. But I found my True passion in working for women empowerment & Building strong futures for various comunities.